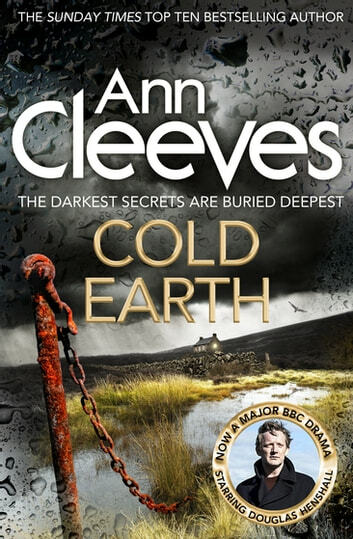 Cold Earth is the seventh book in Ann Cleeves' bestselling Shetland series – a major BBC One drama starring Douglas Henshall. Also available in the Shetland series are Raven Black, White Nights, Red Bones, Blue Lightning, Dead Water and Thin Air. I love reading Ann Cleeves books this one is no exception Jimmy Perez always a mystery himself and the magic that is the Scottish Highlands. This story was as usual intriguing and with an unexpected end. Another virtual trip to Shetland. Love the unique Shetland series, and Ann Cleeves' style of writing. Always a "whodunit" that leaves me baffled. Enjoyed the evolution of the Jimmy Perez character. Jimmy Perez is back again. Moody and still mourning his fiancée. Another murder for Jimmy to solve along with a possible new woman in his life. Well written and enjoyable. Intrigue with plenty of red herrings. I thoroughly enjoyed reading this book. I have watched the Shetland series on television and could therefore picture the place and the characters which I felt made the book more interesting. I would enjoy reading more of this series.